A perfect smartphone right on the money. I am using this product since last one year. Though it has 2GB Of RAM, it performs well. Fingerprint security works pretty well. Camera is really good in clicking sharp imaged. It has perfect metal finish right at the end. It has 3050 mAh battery, which runs 1 & half day easily. Gaming performance is so fast for 1.8 GHz Samsung Exynos Processor. Sound quality while noise cancellation works really well. 5.7 inch FHD display gives better view. Camera qualily is excellent. Overall a good phone. a very nice phone with metal body, with great camera quality of 16MP covering all the photography. A treat for Samsung Lovers. This phone has it all be it the RAM, Camera quality, body, operating system etc. You can buy this phone if your budget is around 25k. Heating issues are there with this device. Front camera quality is poor. One may think to lean into Moto as the price is on the higher side, but a no brainer for Samsung freaks. 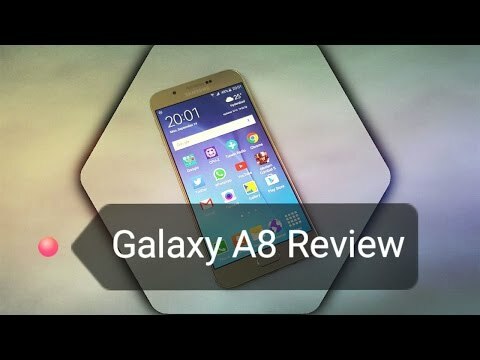 5 Pricebaba users have written their experience with Samsung Galaxy A8. If you own Samsung Galaxy A8, please do leave your feedback too. Lowest price of Samsung Galaxy A8 price in India starts at Rs. 16,999 Samsung Galaxy A8 is available on Flipkart at Rs. 16,999 and on Amazon at Rs. 19,990. Prices updated on 22nd April 2019. The Samsung Galaxy A8 is to the Galaxy S6, the way the Sony Xperia M5 Dual is to the Xperia Z5. What we mean is, after launching their flagship phone, phone makers time and again have released their slightly watered-down variants at an attractive price point. The Galaxy A8 has 1920 x 1080 pixels spread across its big 5.7-inch Super AMOLED display. Its made to look like the Galaxy S6 due to the use of metal bezels, but the back isnt glass. Its powered by a Exynos 5430 octa-core chip, which isnt as high end as the Exynos 7420 on the S6. It also comes with a modest 2GB of RAM. Fortunately, it retains that useful fingerprint scanner on the home button. It also retains the 32GB of internal memory, which should be ample for many of us. There are ways where the Galaxy A8 trumps the Galaxy S6 also  it is a Dual SIM phone, where you can either use two SIMs at once or use a microSD card in one of the slots. The battery is also sufficiently large, measuring 3050mAh (which considering the modest specifications should offer a reasonable up time). Theres a 16MP rear camera and a 5MP front-facing one. Like most phones launched this year, the Samsung Galaxy A8 too supports 4G bands that Indian telecoms are building their infrastructure on and also supports VoLTE.